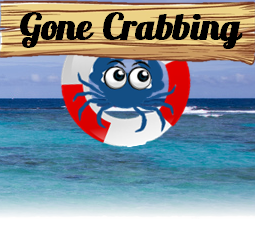 It is definitely not ideal for a recreational crabber to de-meat your catch so that you may have ingredients for say your crab cakes or crab salads. This process can be severely time-consuming and painfully tedious. Fear not, because you can readily buy crab meat that has been removed from the crab’s exoskeleton and is usually sold in a can or container. Ranging anywhere from $25-$30 per pound, crab meat is high in protein and is a versatile ingredient as you can use it in many recipes ranging from salads to toppings on pizza. Common canned crab meats come from blue crabs, Dungeness crabs, brown crab, and red swimming crab. The crab meat can vary in freshness, taste, texture, and is different based on what type of crab it came from. How can you choose or judge what type of crab meat you need? Check out this article to become a better informed crab meat buyer. The major difference between the two is the freshness and the shelf life. Fresh crab meat, as the name implies, is the fresher of the two types. It also has the shorter shelf life and NEEDS to be refrigerated or you risk spoiling the meat. Fresh crab meat spoils quickly as well so you should be prepared to eat all of it that same day. As you can imagine, it is also the more expensive of the two. Pasteurized crab meat has been cooked in efforts to preserve the meat longer. Refrigerating pasteurized crab meat will allow it to last longer than fresh crab meat for about 1-2 days after opening. Unopened meat can last much longer. Pasteurized crab meat is conveniently found in the refrigerated section at your local groceries store. The jumbo lump grade of crab meat can be described as the premium crab meat from the meatiest part of the crab. As the largest muscles in the human body are the leg muscles, so are the “muscles” in the crab. The jumbo lump meat comes from the crab’s powerful swimming legs and is usually harvested from larger crabs like the Dungeness. The jumbo lump meat comes in fork-friendly, large pieces that has a sizeable bite to it. You can make crab cocktails and Crab Louis with this grade of meat. Jumbo lump meat sports a brilliant white color. The lump grade consists of pieces of meat that are smaller than the jumbo lump and is flakier and has less of a bite. However, it still has the same sweet flavor as the jumbo lump. The lump meat is gathered from smaller pieces of jumbo lump or from the body cavity of the crab. This grade of meat is ideal for stuffing and use for salads and casseroles. With the least amount of bite, the white meat is the flakiest and has the smallest pieces of the four basic grades. This meat comes from the body cavity of the crab and has a shredded texture almost like confetti. This grade of meat is great for making crab cakes, and even quesadillas. The claw grade meat is mainly from, you guessed it, the claws of the crab. This meat may have a more brownish color and possesses a stronger flavor. It is a bit less expensive than the other grades as it is easier to remove from the crab. With its stronger flavor, this meat doesn’t lose its taste from seasoning and is superb for an ingredient in soup (like crab chowder) and even crab stir-fry dishes. Imitation crab meat is used as a replacement to crab meat and is actually made from Alaskan Pollock which is a fish abundant in the Bering Sea and in the Sea of Japan. The meat is first cooked, minced and mashed into a thick paste. The process of creating crab meat was actually invented by the Japanese. 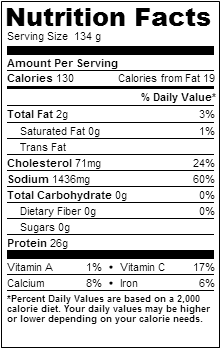 The nutritional data for crab meat of one serving is shown. Crab is nutritious because it is a good source of protein, various vitamins, and is low in saturated fats. However, it is high in cholesterol and in sodium. But who can resist its meaty yet light texture and its sweet taste. In moderation or over-indulgence, crab meat is definitely a uniquely tasting and nutritious meat. Hopefully, you have gained better knowledge on the different types and grades of crab meat so that you can make a better decision on which one to buy for your next crab recipe. This article was wonderful ! After reading this article, which I find very educational, and planning to make ‘crab dip’ to serve with crackers for 6 friends this weekend, which ‘grade’ is the best? (Maybe the ‘White’/”Special”). I probably won’t be able to afford the ‘fresh’ because I have heard it is very expensive, but the ‘pasteurized’ in the container that I have seen in local grocery stores is what I’ll use. (I’ll be sure and check the expiration date and the ‘use by’ date on the container). Should I buy ‘brand name’, like ‘Phillips’, or is it ok to buy the ‘store name brand’? (A local store I shop at does have their ‘store brand named’ crab meat). Also, what does ‘least amount of bite mean? Hard/easy to chew? Hi Gerald! Thanks for the comment. I have tried Phillips, Crown prince, and a more unknown store brand. Although I did like the Phillips brand the best I don’t think it’s worth the price. And depending on what you are making, the brand might not matter that much. The ‘least amount of bite’ means how much you would feel as you chew not necessary the difficult of chewing. I recently saw a ad for WILD CAUGHT CRAB,how does this type of crab taste?